Northumbrian Water has awarded contracts worth more than £500m to five companies to work on upgrading its sewer and water asset network over the course of the next ten years. The upgrades form part of plans to maintain quality tap water, reduce sewer flooding and protect the environment. The contracts have been awarded to ESH Construction – MWH in a joint venture, Mott Macdonald Bentley, Interserve and Integrated Water Services. 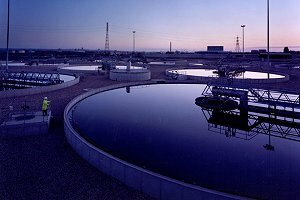 The £50m a year deals will go live on 1st October 2015 with upgrade due to unfold in the North East, as well as Northumbrian Water’s southern regions where it operates as Essex and Suffolk Water. Northumbrian Water Group’s Head of Asset Delivery, John McGovern, said: “The contracts will boost the economy of our region and of the local communities we serve and will also support employment. “We are working closely with all companies involved to ensure the smooth transition of contracts and we look forward to working with those appointed. “Having long-term framework agreements in place will enable better planning, relationship building and the transfer of in-depth knowledge and skills. Northumbrian Water Group supplies 2.7 million people with water and wastewater services in the North East and 1.8 million people with water services in Essex and Suffolk.